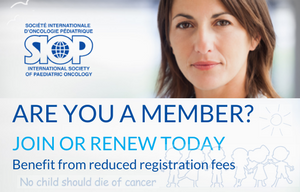 Paris, 25 January 2018 – The Sanofi Espoir Foundation and the SIOP (International Society for Pediatric Oncology) signed a Memorandum of Understanding today to establish their collaboration to increase the level of care for children affected by cancer in low and middle-income countries. The memorandum forms the basis of a strategic long-term partnership between the two organizations to roll out joint initiatives related to the My Child Matters program. “The Sanofi Espoir Foundation welcomes this deeper and stronger partnership with the SIOP on an international scale. Although we have been working in the same direction for several years now, the signing of this agreement marks our mutual commitment to work on common projects with a similar vision so that every child with cancer has the same chances of recovery wherever they live,” said Xavier Darcos, President of the Sanofi Espoir Foundation. 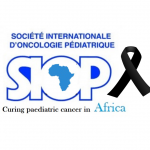 “Over time, one major focus of SIOP has been the care of children with cancer in countries with limited resources. 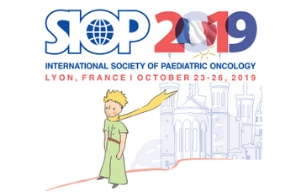 The restructuring of the PODC (Paediatric Oncology in Developing Countries) program created an opportunity to strengthen the collaboration between SIOP and Sanofi Espoir, and this MoU will consolidate this very successful collaboration”, said Dr Eric Bouffet, President, SIOP. Every year, more than 215,000 children around the world are confronted with cancer and at least 90,000 of them will die from the disease. 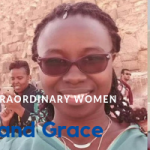 The five-year survival rate for children diagnosed with cancer in developed countries is 80% when it is only close to 20% in low-resource countries (even to 10% in the world’s poorest countries).